Sadly, over the last several decades, the mighty USA, along with the entire western world, has become afflicted with political correctness on steroids, devoid of old-fashioned common sense, accountability and any ... See More sense of responsibility. 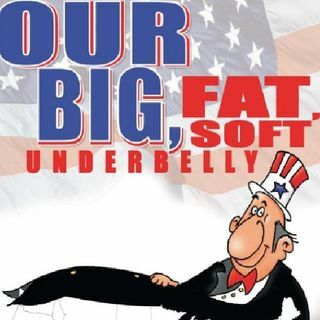 Our Big Fat Soft Underbelly addresses what he believes are deliberate strategies by the enemy within to destroy the US, caused, in the main, by our elitist, elected representatives, on both sides of the political spectrum. With their unprincipled actions, aided and abetted by the Mean Slime Media, and their unethical partners, the money-grubbing lobbyists, they are taking this unique, magnificent republic to economic and social places of darkness and debauchery.